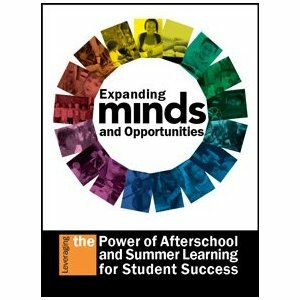 I was honored to be a contributor to an important new book that was just released entitled Expanding Minds and Opportunities: Leveraging the Power of Afterschool and Summer Learning for Student Success. Every article in the book is available for free download by clicking here and the entire book is available on hard copy through Amazon.com. Check it out! 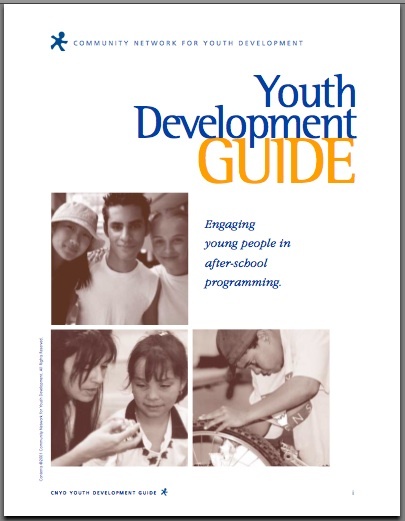 During my years at CNYD, I managed a team project to create a guide to introduce California's burgeoning afterschool movement to CNYD's youth development framework. That publication entitled Youth Development Guide: Engaging Young People in After-School Programming is now available as a free download. It is an excellent guide that has withstood the test of time.